For a city primarily known for its rain, there was almost none of it during our stay in Seattle. It was actually barely even cloudy, which really set the tone for our wonderful stay there. 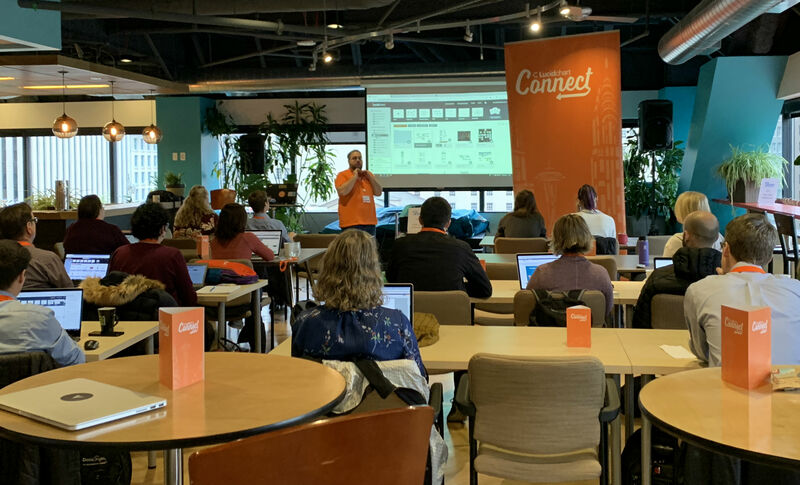 Besides taking in the local fare, we got down to business with our last Lucidchart Connect event of the year—and it was definitely one to remember. As usual, Nathan kicked things off in style, really highlighting how complex work is becoming in the digital age. Even companies lagging behind in technology now have tech stacks that far exceed what even IT companies had over a decade ago, and every company is rapidly adopting more and more software tools. This rush to the digital age reveals the real Achilles heel of many industries today: that they can easily be replaced by computer or robots. Creativity of thought is one of the most important skills we can develop and use in our quest to remain relevant in today’s working world. Our team at Lucidchart wants to help you be more creative and communicate your ideas effectively through our visual productivity platform. As we use our innate and natural talents for working visually and spatially, we start being able to flex our creativity more and more, helping us prepare for this new age and conquer the digital divide between how we used to work and how we work now. Nathan’s comments were backed up by presentations from not one, not two, but three different users who were clamoring to preach the gospel of Lucidchart. First, we heard from Stephen Farnsworth, who is part of the sales org at fellow tech solution, Outreach. He explained how Outreach is a sales engagement platform. Their goal is to help sales reps automate more non-sales activities, like emails, so they have time to focus on what they do best: selling. Outreach solves this problem through the creation of sequences that can help reps maximize their communications and follow-ups. However, they were faced with the same issues surrounding complexity that Nathan mentioned. With an increasingly complex tech stack, reps were struggling to know when to turn to certain solutions. Using Lucidchart, Stephen was able to create a flow that shows when sales reps should use all of the different tools that are available to them. It helped them narrow their focus by answering questions like, Who am I targeting? Why am I targeting them? And what tools can help me target them more effectively? Adding to the fire was the amount of information reps needed to learn. Reps have to learn and memorize over 50 different sequences that they can and should use. Lucidchart helps Outreach educate their sales reps through visuals. The company created a visual tool in Lucidchart that shows reps the sequence they should use based on the interaction they want to have, such as how to communicate by email with someone who’s downloaded an ebook or how to reach out by phone with someone they’ve already engaged with before. Following Stephen, we heard from Mike Doane, who has worked in IT for many companies but is currently working with Yum! Brands. He highlighted five (!) different use cases he had for Lucidchart. Each of these problems highlighted again the increasing complexity of work for his teams. The most interesting use case involved a very hardworking and dedicated support team who had a bad reputation for unresponsiveness. Using Lucidchart, Mike was able to map out all of the different ways that a user can request support. He found several blind spots that explained why the team wasn’t responding: The team wasn’t receiving some of the requests at all. Among the blind spots, Mike found a support email address that, due to several transitions, everyone on the team had forgotten about. This email contained over 2,000 unread support requests. Mike also highlighted how Lucidchart allowed him to be a little more creative. As new IT operations are transferred, you risk losing a lot of knowledge. Using Lucidchart, Mike was able to organize multiple information gathering strategies into a single document created for the existing team as well as any successors. The document led to a very successful transition with no downtime. It was then templatized to ensure that they never forget to ask these important questions during a transition again. For more information and examples of Mike’s diagrams, read our full case study. Our final user, Bret Coffman, talked about how he fell in love with Lucidchart. As a business process architect for Vulcan, Bret’s entire life is process. And although it’s Bret’s job to make simplicity from complexity, communicating processes and coordinating with others can be incredibly difficult. In the past, Bret used Visio but found many issues with the product, chief among them inflexibility in sharing. In fact, he discovered that the company’s help desk was receiving an astronomical amount of requests for Visio licenses, just so people could view the documents he was creating. On top of that, Bret’s co-workers viewed process documentation as an unwanted task. Processes take a lot of time to build, and the software is typically expensive and complex. Like our other presenters, Bret was combating complexity and supporting creativity. With Lucidchart, he led a cultural pivot to people over process and found a way to simplify processes. Lucidchart reduced the cognitive load of learning a new program; its intuitive interface allowed users to work more quickly. Lucidchart also made it very easy to share and collaborate with others, even allowing access to users who didn’t have a license. This feature is especially useful when others only need to view or comment on your work and don’t need to edit or build things themselves. As Bret finished, Nathan again took the stage to discuss our roadmap, which always solicits a bevy of questions and palpable excitement from everyone in the room. And as he wrapped up, we entered what is (in my humble opinion) the real jewel of all of our events: the Lucidchart Essentials Certification Course. On this trip, I really learned what this certification class means to the attendees. Almost all of our attendees indicated this course was their primary motivation for attending our event! They wanted to learn how to use Lucidchart better. They wanted to learn how to do more, how to be more agile, more efficient, and they were hungry for it. I made them a huge guarantee (and remember that these are power users, people who already love and use Lucidchart). I guaranteed them that I wouldn’t leave Seattle until everyone in that room had learned at least five new things that helped them to work better in Lucidchart. The training was fun and laidback, as they usually are. And at the end, not a single person had failed to learn their five new things. One attendee said he learned 42 new things! And I was able to end the certification with applause and the satisfaction that comes from really helping others to achieve and do more. As we packed up, I reflected on the training and messages shared by the speakers. It’s true: This world is becoming more complex and creativity of thought is more key than ever before. It was evident in the examples given and through our training that Lucidchart really does help people solve real challenges. And I’ve never been more confident that Lucidchart delivers on its promise to solve some of the most complex challenges businesses face into today’s digital world. Seattle was our last stop for 2018—but we'll be back next year to help our users see the benefits of visual communication and become Lucidchart pros. Check back with our Lucidchart Connect hub for details on future events. 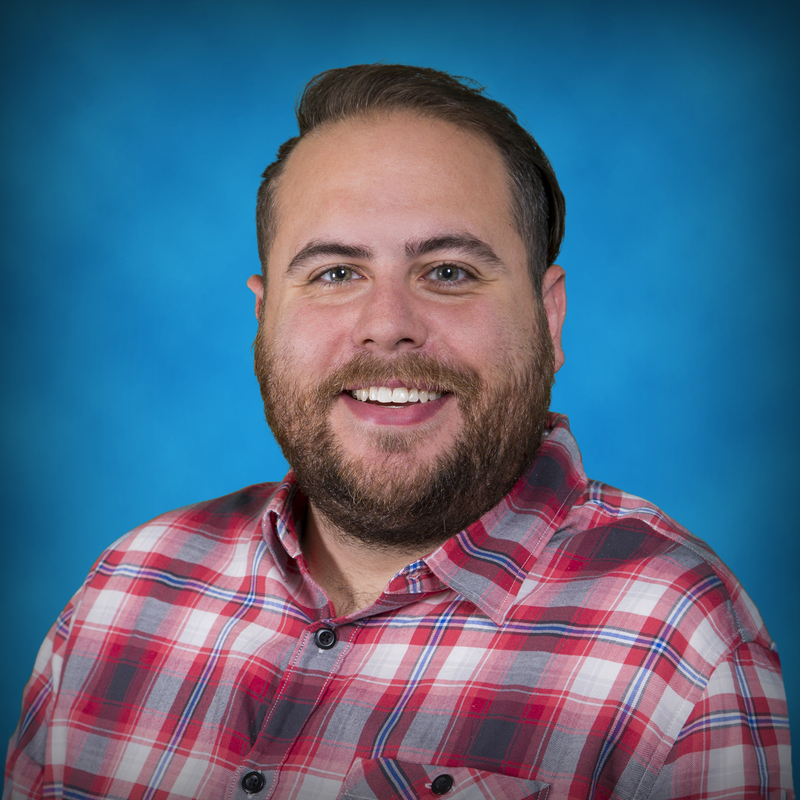 Bear Shelton is an expert in personal communication who is passionate about changing people’s lives through training and education. Surprisingly, he spends most of his time playing music, BBQing, and continuing to date his wife—and very little of his time foraging for berries or fishing for salmon.